Monaro Pools is a family owned business and has serviced the Canberra & Queanbeyan areas as well as rural and Snowy Mountain regions with pool & spa building and maintenance services since 1976. 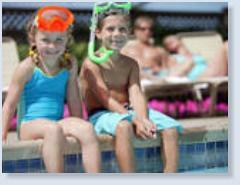 Our clients include swim schools, motels, resorts and embassies etc. Through our large network of suppliers we are able to support you with an enormous range of equipment and spare parts. So give us a call for your next pool, spa or maintenance job. Show us proof of a better price* from a Canberra pool professional and we will match or better it! Buy local for local warranty! Our suppliers guarantee their products so we support them. If you find yourself needing to use the warranty on your product, Monaro Pools has a range of loan equipment** for you to use while your equipment is being serviced under warranty. Now servicing the Kings Highway to the Coast as well as NSW South Coast. Batemans Bay from South Durras to Broulee!